Mahindra Navistar Automotives (MNAL), a 51:49 commercial vehicle joint venture between Mahindra & Mahindra and US-based Navistar Inc, is set to focus on developing strong business fundamentals in next few months. The company also hopes to offer full range of medium and heavy commercial vehicles by financial year 2011-12. 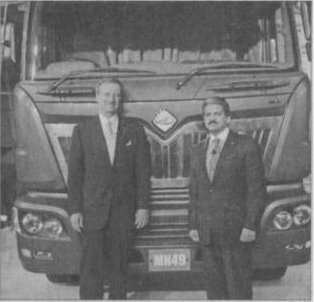 The company started sales of its medium and heavy commercial vehicles (M & HCV) from October 2010 and has so far registered sales volume of about 300 units. “Our focus over the next 3-4 months will be on activities such as getting the product accepted among customers, presenting advantages and benefits of our special offerings such as anywhere, anytime on-road assistance plan, among other things,” Rakesh Kalra, managing director, MNAL said during a launch in Chennai. “Our product acceptance campaign is already on across several dealership outlets as we are ramping up our dealer and service outlets to more locations,” he added.